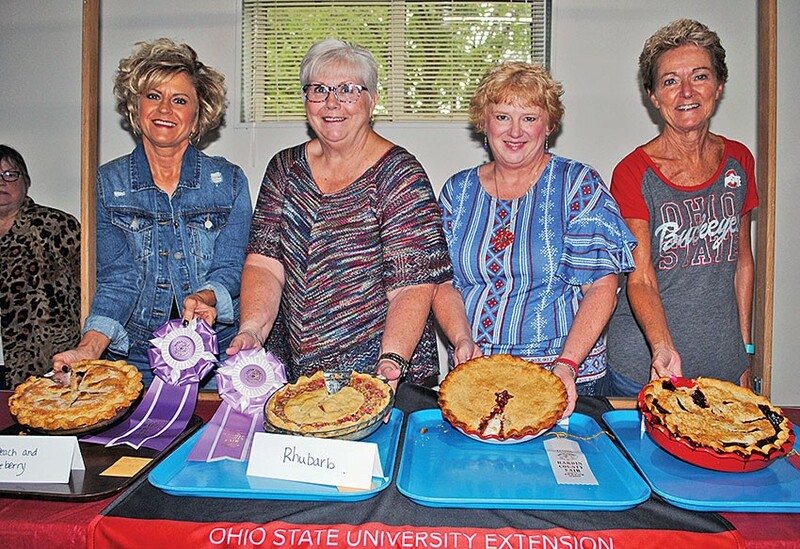 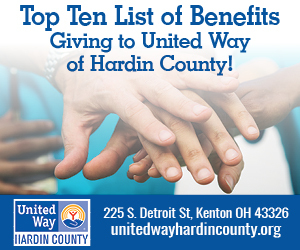 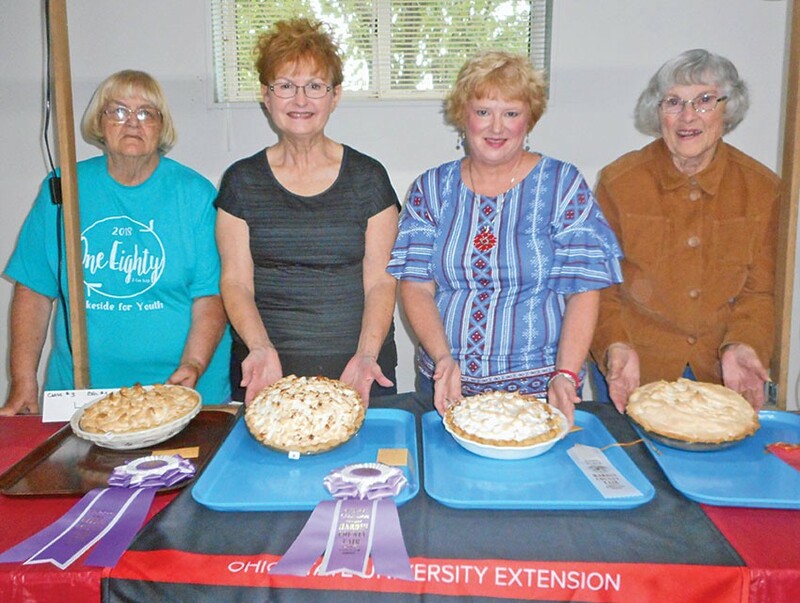 Winners of the Hardin County Fair’s Pie Day contest were announced on Saturday. 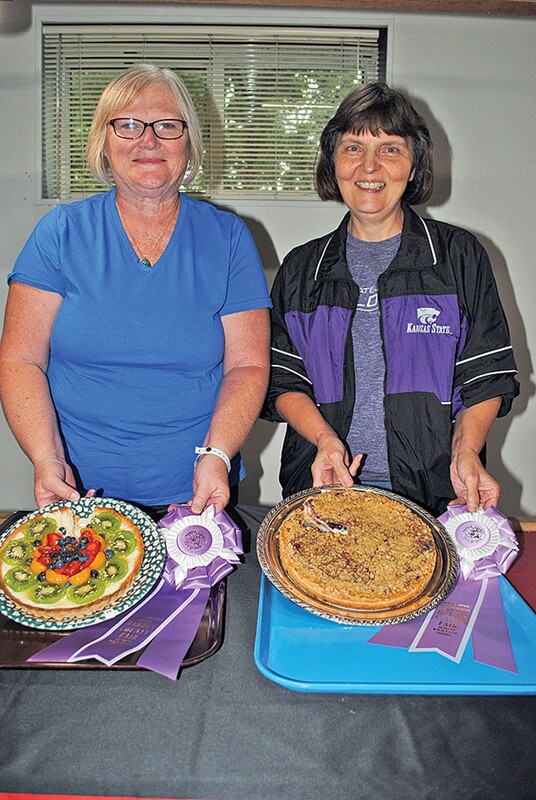 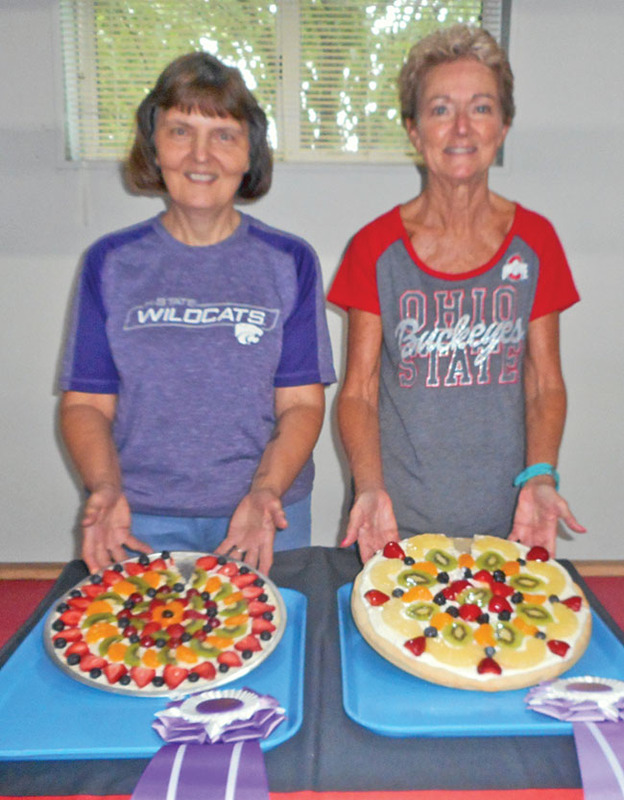 In the dessert or veggie pizza at pie day, Elaine Hoover (left) took first place for her fruit pizza, while Janet Jones received reserve champion honors for her fruity wishes pie. 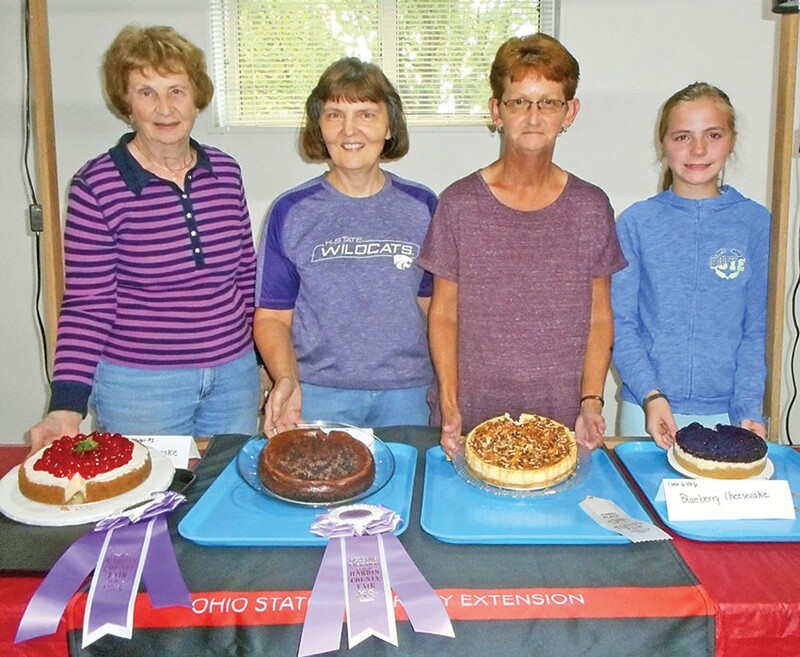 In the cheesecake category at pie day, Jane Ribble (left) took first place for her aptly named “Best Cheesecake.” She was followed by Elaine Hoover in second with her chocolate cheesecake, Carol Hamilton in third with her caramel praline and Mackenzie Stanforth in fourth with her blueberry cheesecake. 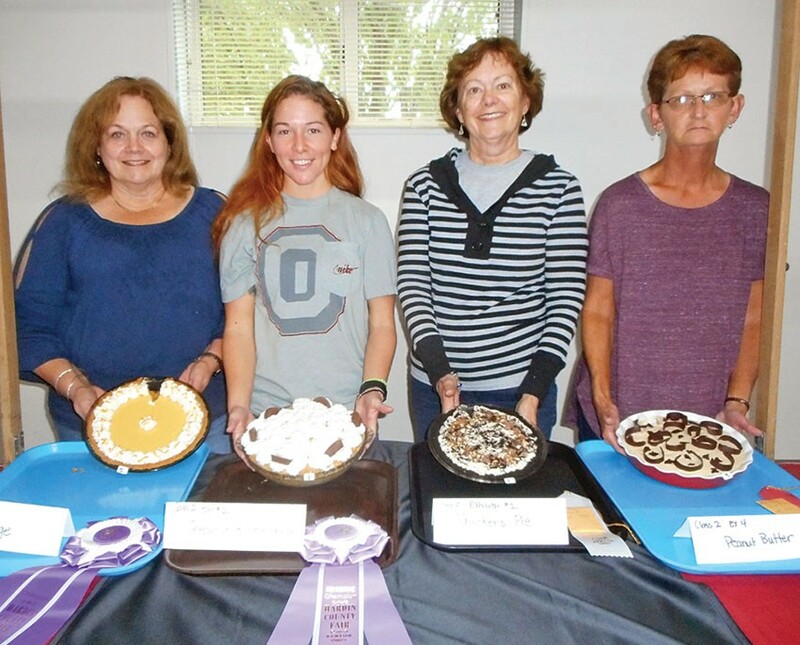 Tori Geib (left) won the champion rosette for her peanut butter pie in the one crust with filling added to baked shell, without meringue, category at pie day. 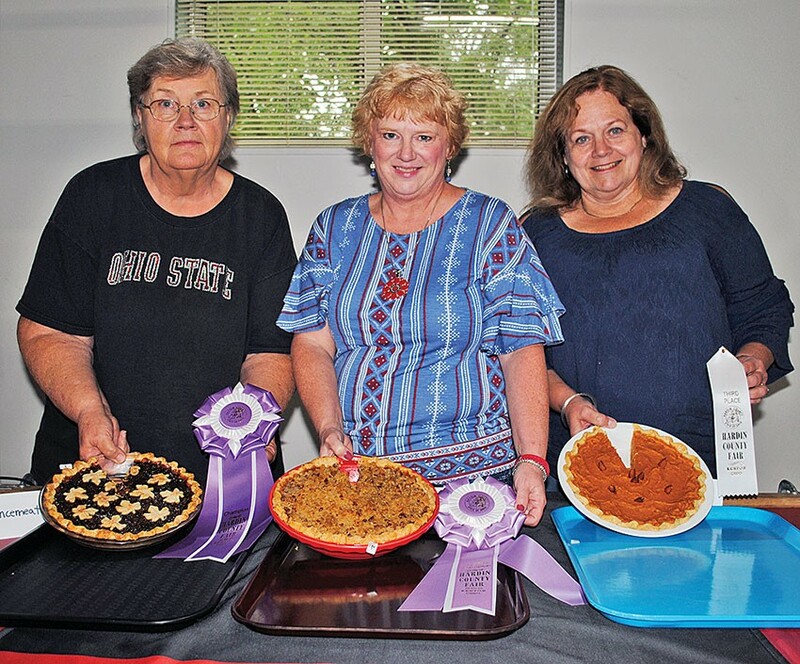 Following her were Carol Hamilton, reserve champion, for her German chocolate pie; Rob Temple for his peanut butter cream and Lori Paul for her hummingbird pie. 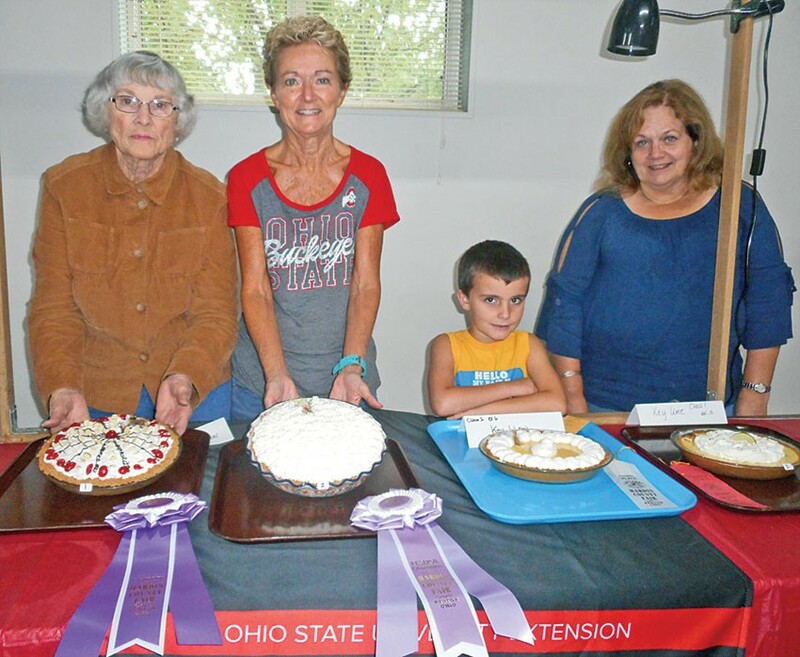 Taking top honors in the graham cracker crust category during the pie day at the fair was Joan Berry (left) with her chocolate marshmallow pie, with Janet Jones taking the reserve prize for her avocado cream pie. 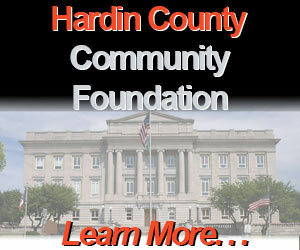 Gavin Hardin was third and Jodine McKinley placed fourth. 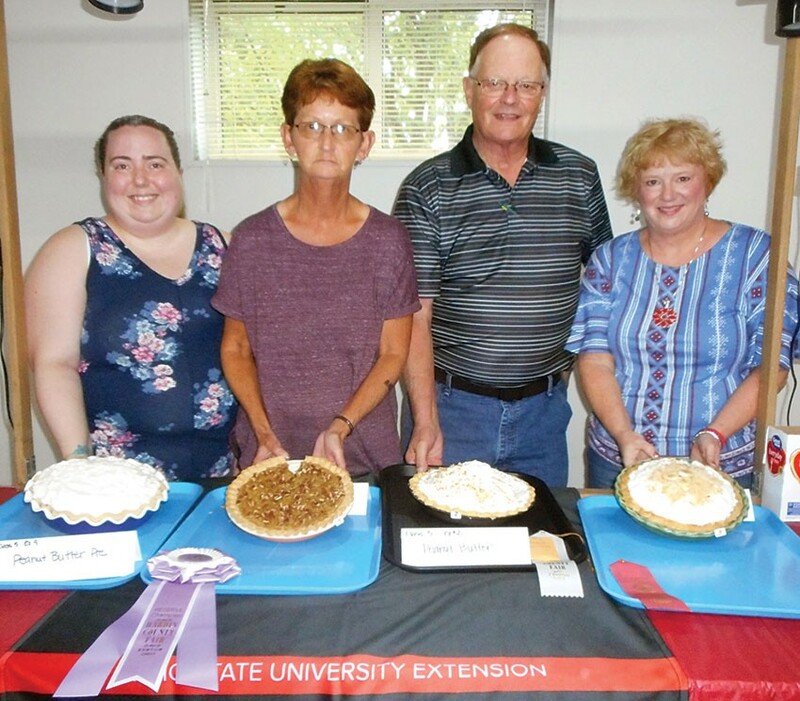 Jodine McKinley (left) created an orange pie that earned grand champion honors in the chocolate crumb crust category at pie day on Saturday at the fair. 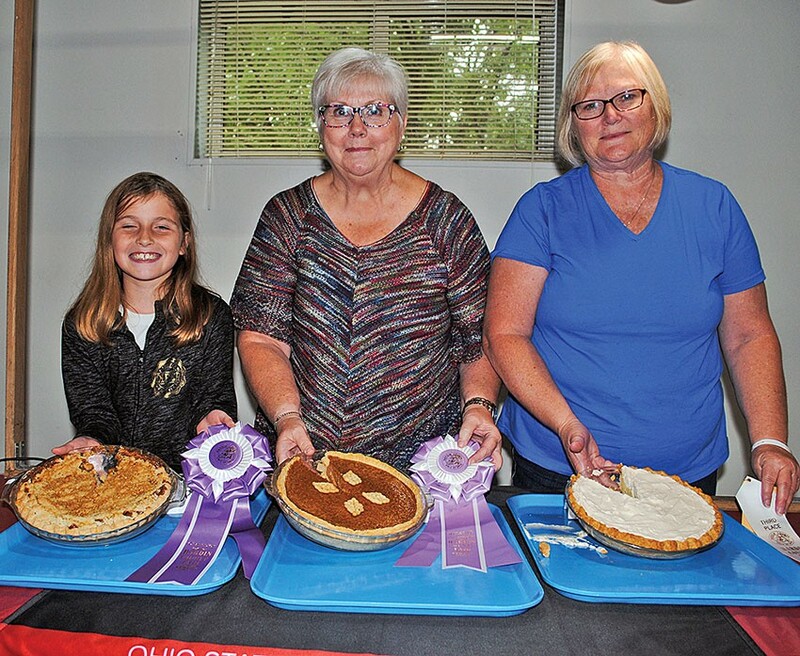 She was followed by (from left) Serenity Jones for the peanut butter cream pie, Colene Hauenstein for her Snickers pie and Carol Hamilton for her peanut butter pie. 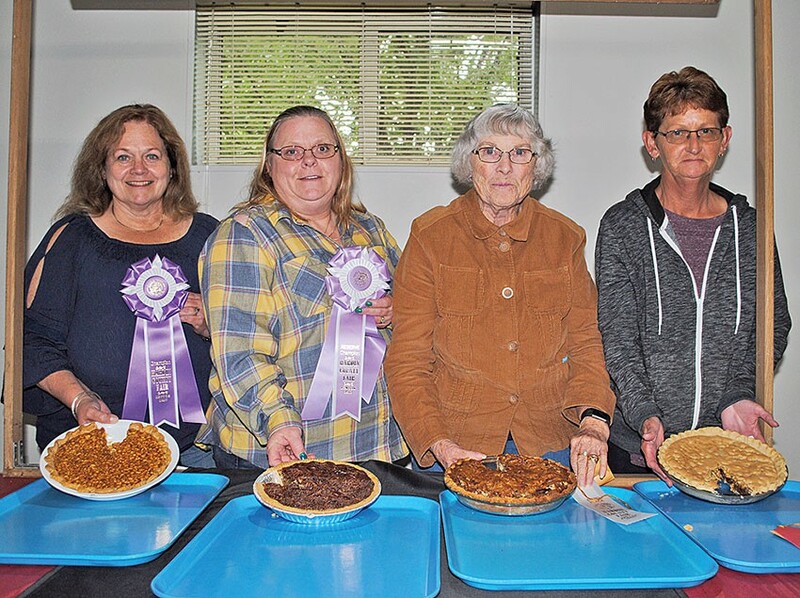 The lemon meringue pie baked by Marge Cannode (left) took the champion rosette in the one crust pie with meringue category during pie day. 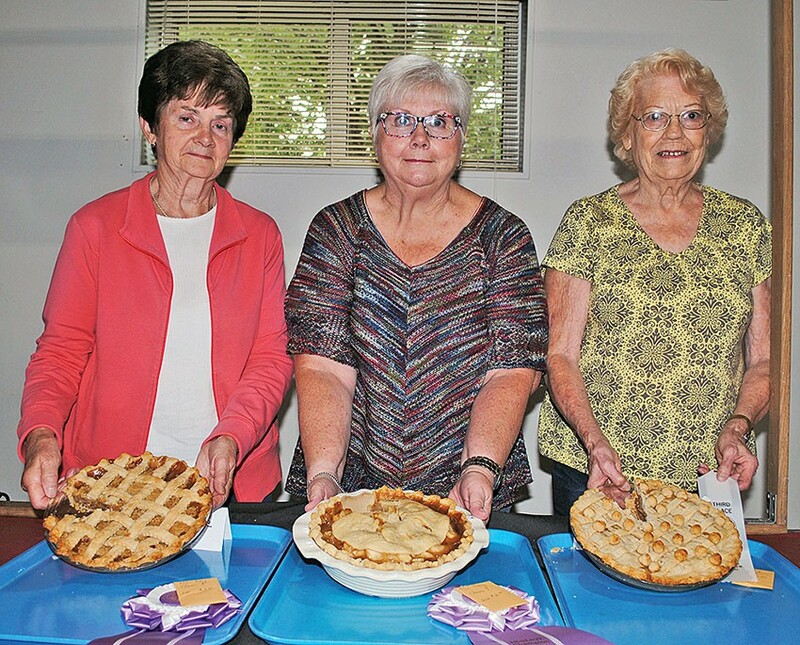 She was followed (from left) by Bonnie Van Schoik for the coconut pie, Lori Paul with a butterscotch pie and Joan Berry with a lime pie.